Technically sophisticated, accurate, and motivated professional with proven success in fast paced situations. Committed to a job well-done and a long term career. Recognized for team orientation, critical thinking skills, and desire for continuous learning. Demonstrates high degree of integrity, accompanied by a record of maintaining confidentiality and a strong work ethic. •	Top-notch organizational skills, with ability to prioritize and multi- task. •	Effective in managing time, coordinating details, and balancing competing demands. •	Creative problem-solver with ability to achieve goals and meet deadlines while handling multiple priorities. Includes medical terminology, anatomy and physiology, disease processes, surgical procedures, life cycle of an insurance claim, health care settings, health care payers, procedure and diagnosis coding from medical records, reimbursement systems, facility billing, keyboarding, work processing, medical practice management systems, and life skills for success. Posting payments for office visits, in and out patient charges. Working aging reports for delinquent, denied, pending claims. Secretarial duties include answering phones, relaying pertinent information, copying, and faxing. Knowledge of e-clinical software program. Communication with physicians and staff. Entering of inpatient procedures and visits for submission to third party payers. Processed medical and dental insurance claims for numerous policyholders. 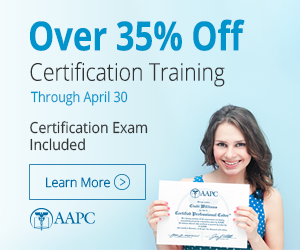 Required extensive knowledge of CPT codes, ADA codes, ICD-9 codes, HCPCS, and procedure codes. Knowledge and understanding of all insurance types, including Medicare and Medicaid. Knowledge of fee schedules for hospital claims, such as DRG's, Per Diems, percentage payments, and Groupers. Understanding of pre-certifications and prior authorizations for inpatient, outpatient, diagnostic and surgical procedures, and specialized treatments. Required time management, organizational skills, and meeting production and quality quotas. Supervised 4 employees in claims/customer service department. Handled recording of payroll hours, attendance, auditing of claims, schedules, calls pertaining to issues with incorrect claim payments from patients and providers. Processed medical and dental insurance claims. Required knowledge of medical and dental codes, insurance plans, including Medicare and Medicaid, fee schedules for hospitals, and knowledge of pre-certifications and prior authorizations. Processed medical and dental insurance claims for numerous policyholders. Required knowledge of medical and dental codes, insurance types, including Medicare and Medicaid, fee schedules for hospitals, and knowledge of pre-certifications and prior authorizations. Responsibilities included entering citations into computer program, collecting fines, handling large deposits, Court Clerk for City of Gray Municipal Court, recording of dispositions, typing and filing of warrants, general filing, customer service, multi-line phone, public relations, general typing and office duties. Responsibilities included answering multi-line phone, communicating with employees on job sites via two way radio, personnel/human resources issues, coding of invoices for accounts payable, filing, typing, recording hours for payroll, keeping inventory reports for asphalt plant, light book-keeping and accounting. I work for a third party auditing company and we are seeking coders to work remotely on a contract basis. This would not be full-time, but on a project basis. We currently have a need for CCS and CPC coders. In particular, we have a project coming up soon auditing dental claims. Would you be interested? The dental project would require travel (one week), which is paid for, plus a per claim fee. Please contact me if you are available. Meredith Tekin at 904-207-7704. Thank you!